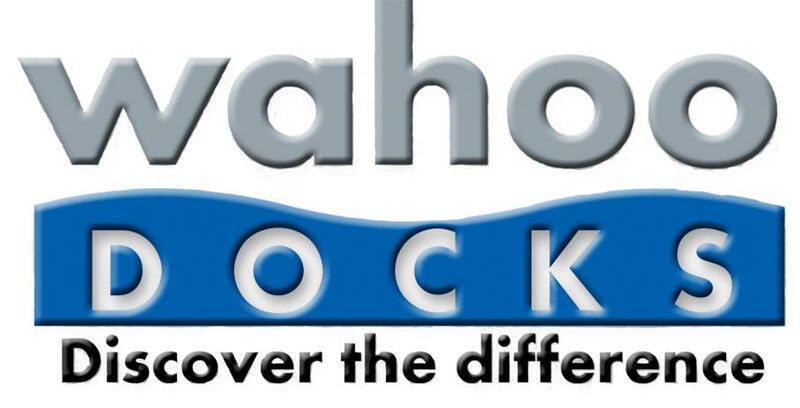 As a leader in the dock industry, Wahoo Docks™ proudly reports a clean environmental record. Our engineers stay updated and continually review the latest trends in technology to improve both our efficiency and environmental impact. On a manufacturing level, we add nothing to our products at our plant that could locally contaminate soil. Any paint or other potential soil contaminates are applied at a facility specifically designed for such activities. Further, we take great pains to reduce waste by source reduction and procuring specially-sized products to reduce waste. In the field, our dealers are specifically trained to reduce their environmental impact while installing our products. 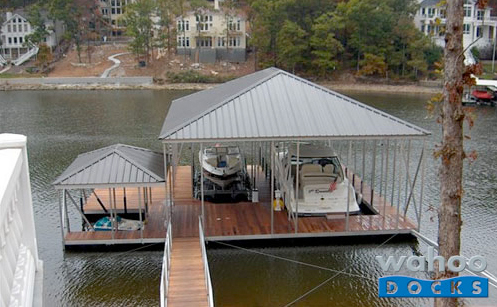 The premise of our docks is that they do not materially degrade over time. In other words, our materials are generally inert in the wet environments in which they are used and thus protect against water contamination. 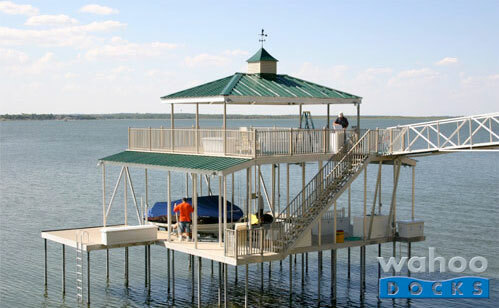 Our aluminum structural members will not materially degrade and the polystyrene we use for floatation is encapsulated in a polyethylene shell that is also environmentally stable. Further, our use of stainless steel fasteners do not degrade over time. These premium components will never need protective coatings such as paint, seals or primers, which could jeopardize the water quality. 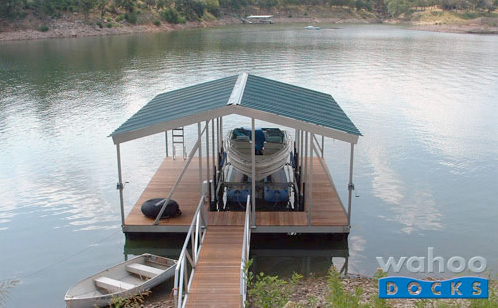 In short, our docks are perfectly suitable for use in all bodies of water, even those specifically designed to supply drinking water. 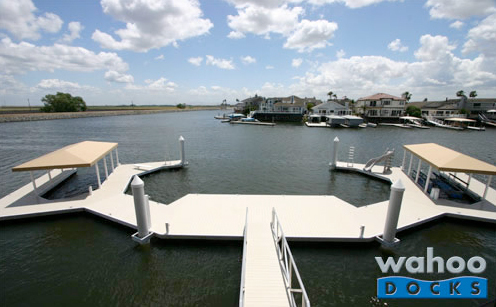 The very nature of a floating dock can create minimal impact on the marine ecosystem’s natural buffer zone. A floating dock need not physically disturb the underlying vegetation within a dock’s boundary and dock design can mitigate any potential issues arising from sunlight blockage. 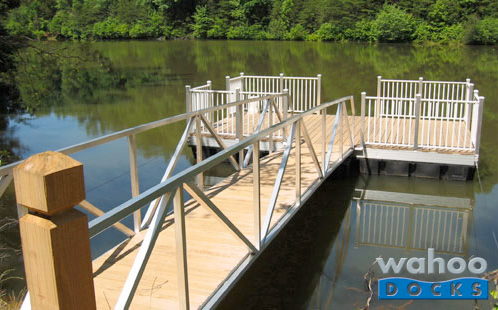 Further, our long-span gangways reduce the necessity or amount of piles required to traverse long distances over marsh or dunes to get to reach a dock. 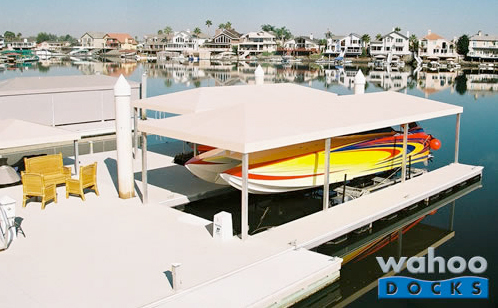 As the premier manufacturer of boat docks and gangways in North America, Wahoo Docks™ carries the responsibility to preserve the aesthetic and environmental resources of our marine environment by not only following but exceeding all environmental regulations. 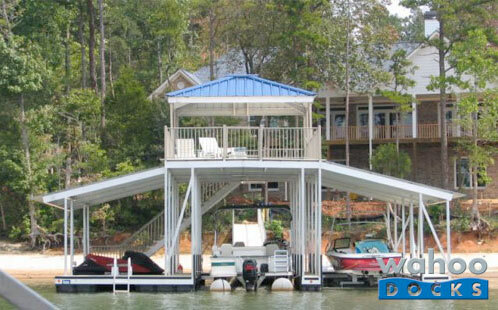 A Wahoo™ dock is distinctive in its ability to maintain its structural integrity and attractiveness over long periods of time. However, our environmental appreciation and responsible manufacturing practices also create a dock that has a low environmental impact.